Do you celebrate the Chinese New Year or use it as an opportunity to teach your children about other cultures? While it’s not a holiday we celebrate every year, I do like to talk to my daughters about other cultures, and I love sharing those cultures I have a personal connection to. Asian culture will always have a special place in my heart. The summer between my junior year and senior semester at Pepperdine (I graduated a semester early), I spent the summer traveling Asia with our school’s Asia Business Tour. We took business classes while we traveled Asia, toured businesses and learned about the culture. It was probably one of the most impactful experiences of my life. So there are parts of the culture that seeped into who I am, and I like to share those parts with my daughters. 2019 will mark 20 years since I visited China. It’s hard to believe it has been so long since so many of the memories feel so close to who I am today. Since my health has been so uncertain, I’ve been sharing more and more of these types of experiences with my daughters in hopes that I can pass these pieces of myself onto them no matter what happens with my health. I learned a lot about the culture while there and really fell in love with so many parts of it. I learned that according to the Chinese calendar, I was technically born in 1977 rather than 1978, so my Chinese Zodiac animal is a Snake rather than a Horse, which is what I thought my whole life! I still keep a piece of original art I bought in Hong Kong featuring the Horse symbol before I learned this subtle fact, (you can see it in some of the images in this post) and I smile every time I see it. It’s a reminder to slow down and appreciate the true value of each culture. If you just glance it over, you may miss its true value for you. 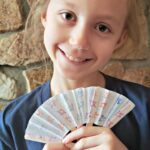 I sat down with the girls and we talked about the Chinese Zodiac and they really got a kick out of learning about their own signs. Zoe is a Rat (she didn’t like that, LOL!) and Kaylee is a Tiger. 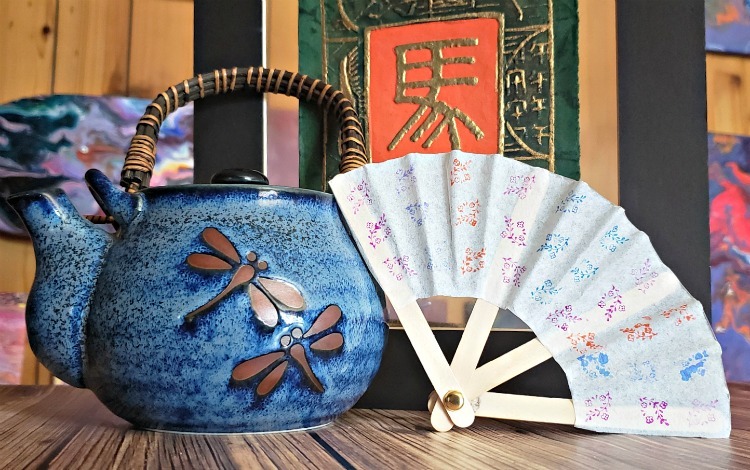 We decided to make a pretty Chinese Fan craft while we talked about some of my experiences in China and they enjoyed snacking on Ling Ling Potstickers. 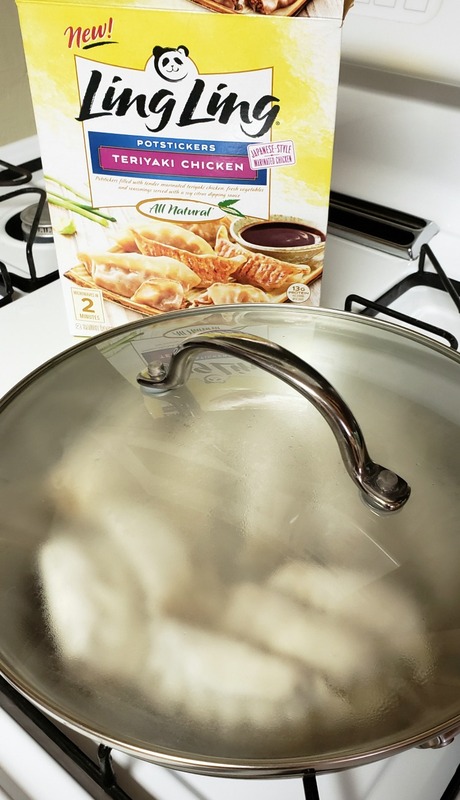 If you ever need a quick and easy Chinese meal, my family loves Ling Ling. They say it’s better than most Chinese takeout around here! 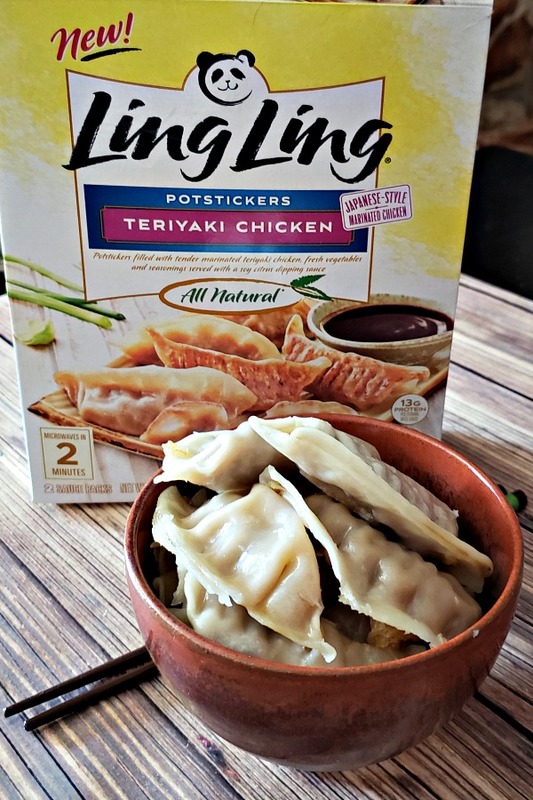 We got Ling Ling Teriyaki Chicken Potstickers to snack on while we crafted. While you can make them in the microwave, we decided to pan fry them per the package instructions. Everyone gobbled them down with the yummy dipping sauce! 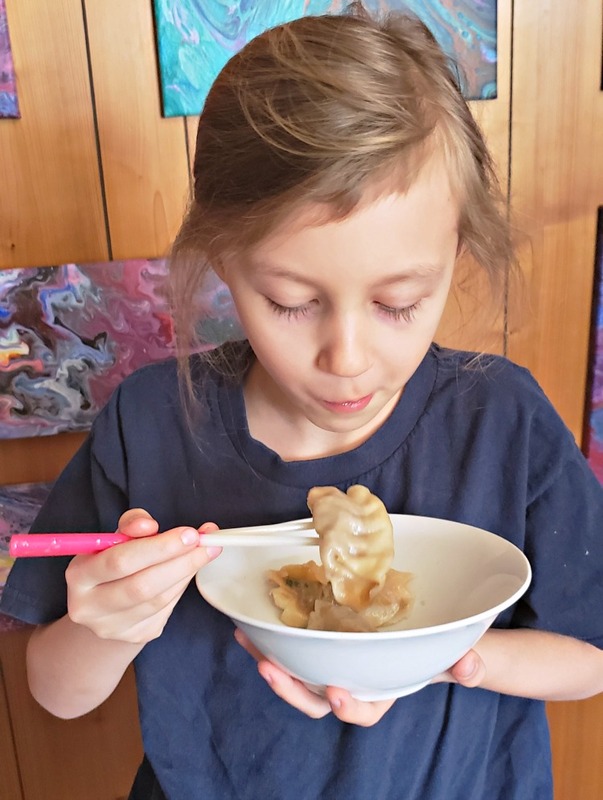 They really have a great, authentic flavor and they’re one of the girls’ favorite treats for special occassions like Chinese New Year, which is on February 5 this year. I like how easy they are to make and that they have pretty clean ingredients compared to a lot of freezer foods. They’re easy enough to make for the girls to make them on their own too. 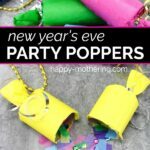 If you’re looking for a fun craft to also do for Chinese New Year we put together a simple one. 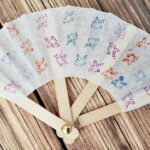 If you have popsicle sticks and coffee filters, you have the basic building blocks for an adorable Chinese Fan. 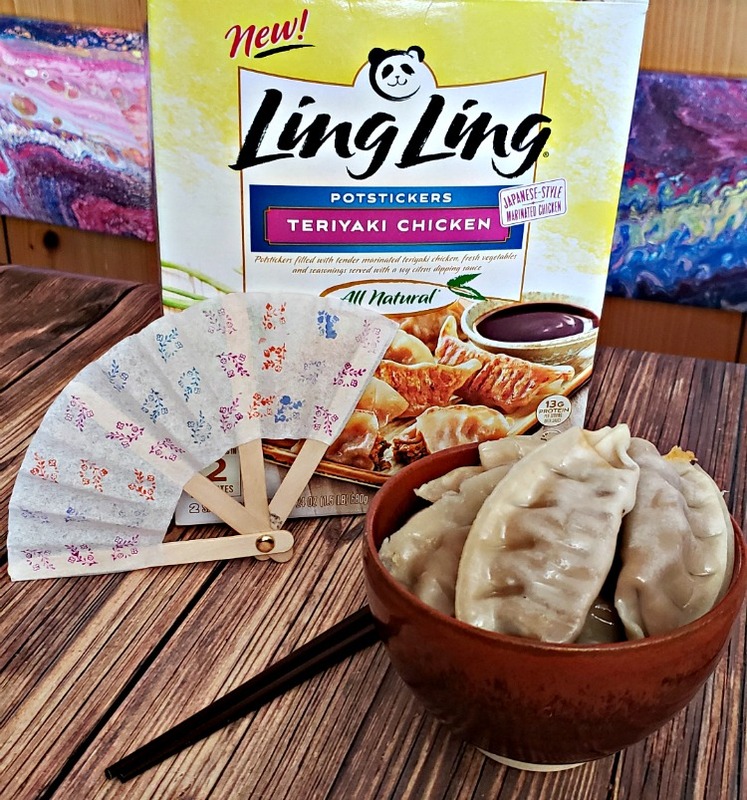 Gather your supplies and stock your freezer with Ling Ling Potstickers and let’s celebrate with this Chinese New Year craft. 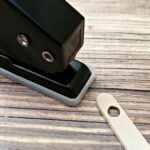 Punch holes in the ends of your popsicle sticks. 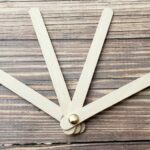 Put a brad through the holes in the popsicle sticks. 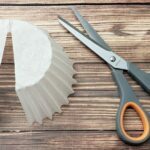 Next, cut the coffee filter as shown. Then cut the center portion out so you're left with a long rainbow shape. 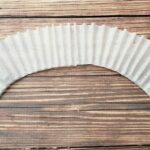 Arrange the coffee filter over the popsicle sticks to create your fan shape, then trim the coffee filter to the appropriate size. 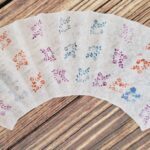 Using markers or stamps, create a design on the coffee filter. 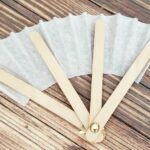 Adhere the coffee filter to the popsicle sticks, making sure the pretty side is facing away from the popsicle sticks and the round side of the brad is also facing up. 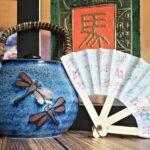 Once dry, you can use your Chinese Fan as a fun prop or decoration for your Chinese New Year celebration. 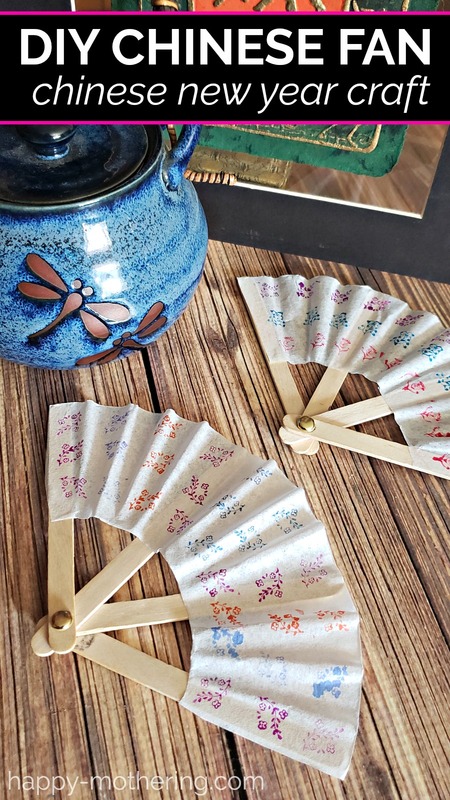 Celebrate Chinese New Year with Ling Ling Potstickers and this fun Chinese Fan Craft! Pin this post to your Chinese New Year board!